Selling my iPhone 5 to my girlfriend, does she need a new SIM? Discussion in 'iPhone' started by VitaminH, Sep 28, 2013. With my recent acquisition of a 5s, I'm giving my girlfriend my iPhone 5. She was due for an upgrade from Verizon but didn't want to give up her unlimited data on the 4 so she's going to use my 5. I went through the "switch device" process on her VZW account - when it asked for a SIM number I put in the number of the SIM card that was in the iP5 - which had been "my" SIM up until I activated the 5s. Now she seems to have LTE and data works on the phone, but phone calls and texts (non iMessage) still fail. Was having her use my SIM a mistake and do we need to get that replaced? Thanks for any info! I have a Verizon iPhone... never knew I had a sim car in it. Where is it and how do I get it out? Use a paper clip in the hole on the right-hand side. It's on right side, along the band. You can see the "cutout" as well as little hole to pop out the tray. Usually a thin paper clip works, but the best is an actual SIM removable tool. It should be on the ride side of the phone (with the front facing you). THere should be a small hole where the end of a straightened paper clip would fit. If you slide one in there (or an official SIM eject tool) a tray should pop out with the SIM inside of it. 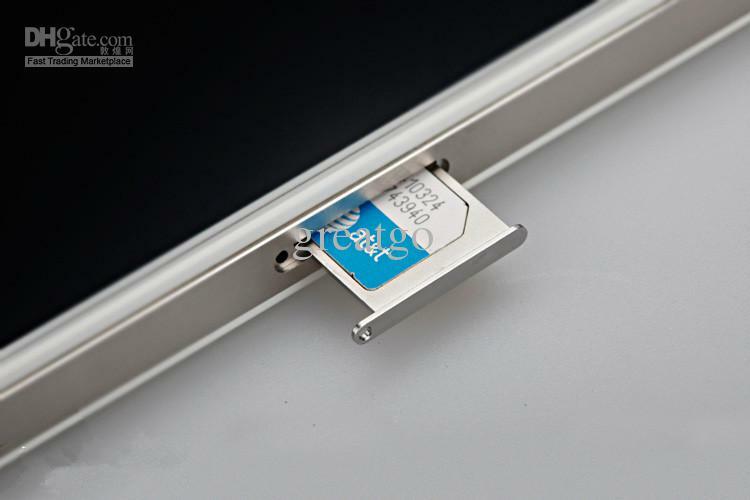 If you don't have a SIM eject hole on the right side of you phone, then you have a Verizon iPhone 4, which does not use a SIM. I went through the "switch device" process on her VZW account - when it asked for a SIM number I put in the number of the SIM card that was in the iP5 - which had been "my" SIM up until I activated the 5s. Now she seems to have LTE and data works on the phone, but phone calls and texts (non iMessage) still fail. Was having her use my SIM a mistake and do we need to get that replaced? Yes, you need to get it replaced. Although theoretically SIMs can be reused, most US carriers tend to treat SIMs as single-use. So your girlfriend needs to get a fresh one from Verizon. You get a new nano SIM for your iPhone 5s. And she needs a new SIM for the iPhone 5 you are giving her. She likely can log onto Verizon, input the new SIM number, and she'll be good to go. Short answer: yes, GF needs a new SIM card. yup new sim card everytime theres a phone number change. Sim cards can't change their phone number once they're tied to a specific line. any carrier store will give you one for free basically if you ask and be like i got a new toy, can you activate this for me. ive never paid for a sim card before except when ordering prepaid service online. I did the exact same thing with my wife and I was able to use my previous SIM card. Check what number it shows at the very top of the Contacts tab. My number still showed up at first even though it said the sim had been activated on her line. A power cycle fixed it. Thanks for the responses everyone. I too thought we'd need a new SIM for her but I called VZW customer service and she said it was fine so long as I entered the SIM number on MyVerizon when I was adding the phone to my girlfriends account. Activation took about 20 minutes but it finally went through and she's been using the phone with no problems. Perhaps they changed their policy recently? That or I just got lucky! Everything I was reading online said we'd need a new SIM as well.